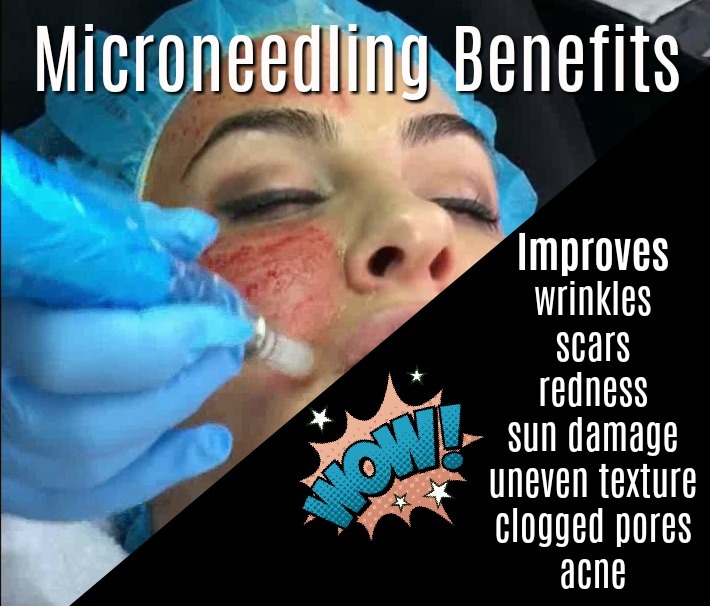 MicroNeedling also known as collagen induction therapy utilizes nine precisely spaced micro needles in a small cartridge to create invisible, vertical, micro-perforations into the epidermis and the top layer of the dermis. This is a medical grade MicroNeedling system and the penetration and results are much deeper and impressive. As a result, the skin shifts it’s natural repair mechanism into high gear and starts producing collegen and elastin to repair these micro-perforations. The self-repairing property of the skin is a 100% natural form of skin renewal which results in smoother, healthier skin. MicroNeedling improves wrinkles, lines, scarring, excess pigmenation, rosecea and sun damage. Charmed Medispa has extensive experience with medical grade MicroNeedling therapy, providing superior results that have consistently delighted clients! 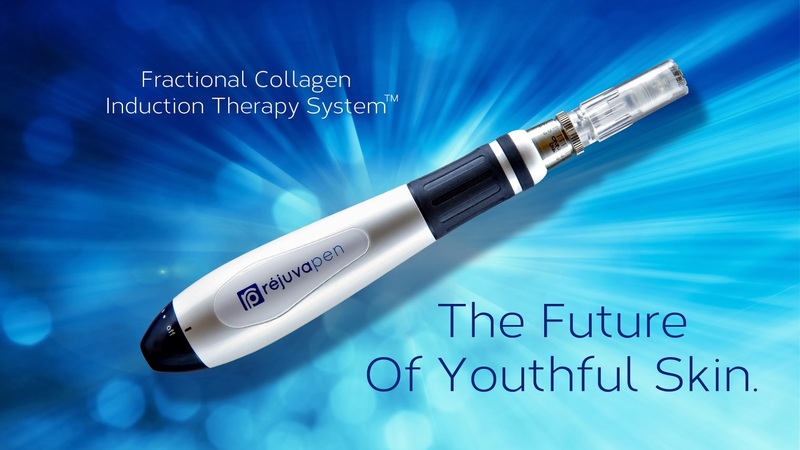 In addition to the MicroNeedling technique, growth factors and hyaluronic acid (the substance found in fillers like Restylane and Juvederm) can be needled into the skin for additional results and rejuvenation. The induction of these products enhances the MicroNeedling results. PRP (platelet-rich plasma) is an option with MicroNeedling that has been compared to human growth factor results. Our advanced medical providers can review your concerns and come up with a microneedling option that will best suite your concerns and desired outcome. In addition to traditional MicroNeedling, we offer radiofrequency MicroNeedling called Infini. This treatment infuses energy into the skin creating a more significant result than products can do. Infini is the perfect option for wrinkles, acne scarring and a more enhanced result. MicroNeedling is a treatment that stimulates the production of collagen in the skin. Our medical-grade MicroNeedling treatment will not only improve skin appearance, but can also be used to treat hyperpigmentation , stretch marks, acne scars and fine lines and wrinkles. There are many wonderful benefits that can result from this treatment. Because MicroNeedling enhances the production of collagen, it can reverse the signs of sun damage, improve the appearance of acne scars, stretch marks and excess pigmentation. Fine lines and wrinkles can be reduced and an overall healthier appearance of the skin will occur. Our provider has advanced training in MicroNeedling with product infusion as well as MicroNeedling with energy called Infini. She will be able to customize your MicroNeedling experience and give you the enhanced results you are looking for. MicroNeedling is a treatment that can be used on all skin types and can be used to treat acne scars, stretch marks, fine lines and wrinkles. In addition, MicroNeedling can be used on darker skin types unlike some laser therapies. Skin conditions like acne and rosecea as well as combination skin can benefit from MicroNeedling. People who have sensitive skin also usually tolerate MicroNeedling well and better than chemical peels. MicroNeedling can also be used on the face, neck, chest and body. Almost everyone is a great candidate for our medical grade MicroNeedling therapies. When will I see results of MicroNeedling? You may notice healthier looking skin right away after MicroNeedling. However, keep in mind that dermal collagen remodeling occurs over time. It would not be realistic to expect damage to the skin occurring over a long period of time to disappear immediately. Some of the results of MicroNeedling are almost immediate and others will gradually improve and maximum MicroNeedling improvement can be seen in a few months as collagen continues to be stimulated and enhanced. We suggest a series of MicroNeedling sessions, depending on the initial conditions and your desired result. Results from MicroNeedling will continue to improve for months after your last treatment. MicroNeedling can provide significant reduction in wrinkles, decreased pore size, less sun-damage and age spots and tighter, firmer skin. In addition, some individual have a significant decrease in acne, redness and other skin conditions. Our Infini MicroNeedling device can provide more enhanced results with less treatments. Our provider can review your options and make sure the best therapy will be chosen for your specific desired outcome. Typically the healing time depends on the severity of the damaged skin and the depth of the procedure. All of this will be discussed with our advanced MicroNeedling provider so that you know exactly what to expect before treatment. We thrive on education first and treatment second. Most commonly there may be some redness that resembles mild sunburn, lasting no more than 2-4 days. Some patients have the redness dissipate within 24 hours. In addition, some clients do not experience any downtime at all. MicroNeedling with PRP (platelet-rich plasma) is a substance thought to promote healing after MicroNeedling. These are also called growth factors. Adding growth factor or PRP after or during your MicroNeedling treatment, can enhance the outcome of microneedling. Our providers can review your options and make a plan of action based on your skin conditions and desired MicroNeedling outcome. The most important factor to consider about MicroNeedling is the provider itself. Fortunately, at our med spa we have the right products with exceptional MicroNeedling providers to ensure you will receive the best overall MicroNeedling result. MicroNeedling with radiofrequency energy called INFINI is the top level of MicroNeedling options with the ultimate and best MicroNeedling result. Infini treatment infuses energy deep in the skin to create collagen renewal. This radiofrequency MicroNeedling treatment delivers precise energy to treat skin concerns like wrinkles, stretch marks and scarring with superior results and healing. If you are looking for unsurpassed results, radiofrequency MicroNeedling or Infini is your treatment of choice. Infini is clinically proven and safe as well as used on all skin types. What is the difference between lasers and MicroNeedling? The good news is that at Charmed Medispa we have both and can offer both lasers and MicroNeedling options. Having the options to consider either technology ensures that you will receive the best recommendation. We find this to be essential since some providers do not perform laser therapies and hence, do not make the appropriate recommendations for lasers. 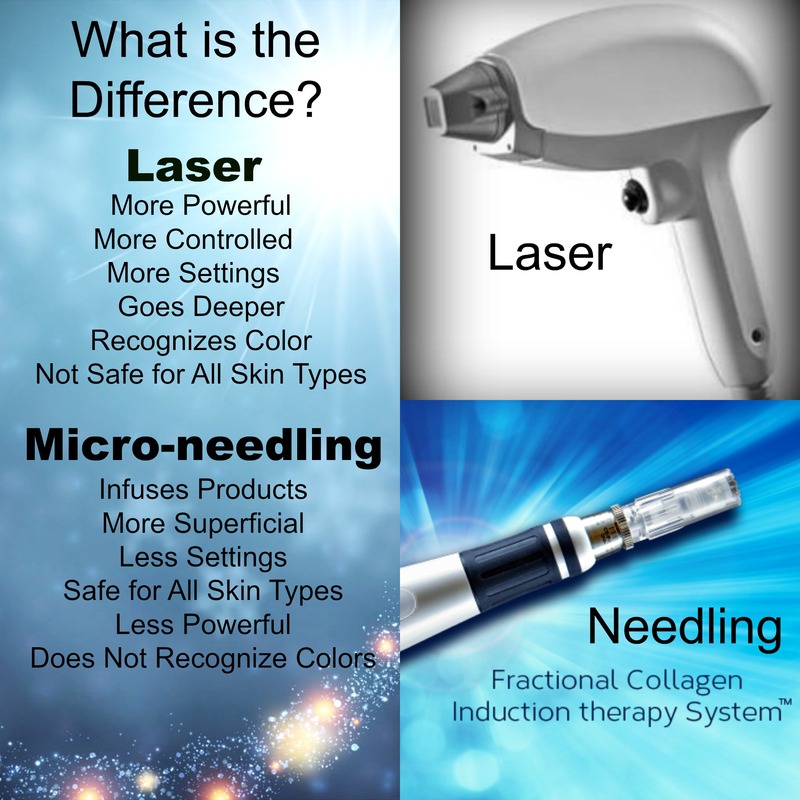 Lasers and MicroNeedling are vastly different. Our lasers uses energy and a laser beam to transform the skin with no needles. Laser therapies can be customized with different depths for different skin conditions and desired results. In addition, there are lots of different types of lasers for specific skin conditions and concerns. No products are infused with laser therapies in our Delaware med spa laser center. In contrast, MicroNeedling uses micro needles to deliver and infuse products to the skin. Our medical spa providers can review your options for lasers, MicroNeedling and/or Infini with radiofrequency MicroNeedling with you. The good news is that our Delaware med spa has all the laser and MicroNeedling options as well as advanced experience providing these services. Charmed Medispa is a comprehensive laser and skin care center and we can deliver the treatment option that would be right for you.